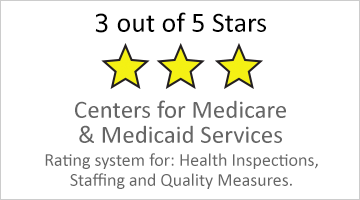 Welcome to Tulare Nursing & Rehabilitation Center where great things are happening to improve the quality of life for our patients. We are conveniently located across from Tulare Regional Medical Center. 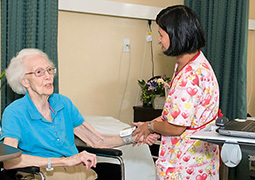 Our 93-bed center provides skilled nursing and specialized rehabilitation services. We are known for our Rapid Recovery Rehabilitation unit which provides patients with specialized therapy programs to get them back to their previous activity level. To make each patient and resident feel more at home, we provide various amenities to provide comfort and stimulation as each one merit. We encourage you to visit us anytime. Stop in for a tour or contact us for more information. We look forward to serving you or your loved one.